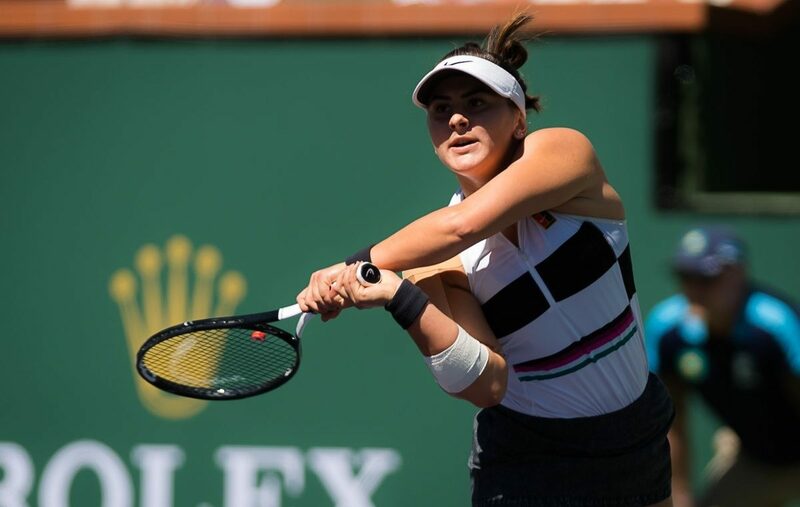 Betting tips Irina Begu vs Bianca Andreescu. Recently crowned champion at Indian Wells, Canadian of Romanian origins Bianca Andreescu is also participating in the Miami tournament, where he has very high expectations. In the inaugural round will meet Irina Begu, a player out of shape at the moment. 1. Latest info before playing betting tips Irina Begu vs Bianca Andreescu. He started on the left this season, disappointing his fans, because he has a negative balance, 4 wins and 6 defeats. The best results of the current campaign won them in Hobart and Budapest, where he scored quarter-finals. Before coming to Miami he was present at Guadalajara, where he again disappointed, being sent home from the inaugural round. Although it has lined up for the seventh time in this competition, it is a weak chance to perform at a high level, given the mood of the game. The former occupant of the WTA 22 is currently ranked 70th. It is now the head of the poster of all sports publications, after having achieved incredible performance just two days ago. He won for the first time at the age of 18 the title at Indian Wells, a tournament in which he lost only three games. It was a dramatic final in the company of Kerber, but young Andreescu showed a great champion determination and fine executions. The excellent morale makes her also present to Miami even though she feels a slight physical fatigue, but she is confident in her own strengths and is now pushing twice. He went up to 24th in the WTA hierarchy. 2. Irina Begu vs Bianca Andreescu direct meetings. The two tennis players have met twice so far, with victories being split. The latest duel dates back to this year’s Indian Wells, with the Canadian being set in a decisive set.